Keep Britain Tidy launched its Diamond Jubilee Big Tidy Up with the help of the Wombles and local schoolchildren on Wimbledon Common on 26 September. 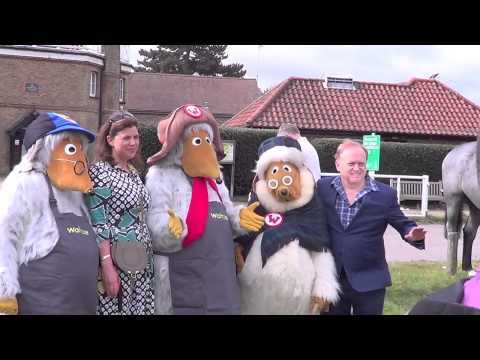 The morning began with a photocall, with the Wombles and Mike Batt joined by Keep Britain Tidy’s ambassador Kirstie Allsopp, local MP Stephen Hammond, deputy mayor Laxmi Attawar, and representatives from Keep Britain Tidy and Waitrose, who support The Big Tidy Up. There were also two horses with their mounted keepers, who patrol the Common every day. Many of the grown-ups took the opportunity to get a ‘#WombleSelfie’, a photo of themselves with a Womble – with Kirstie tweeting that it was a “career highlight”. With Orinoco and Wellington kitted out in Waitrose aprons for the occasion, it’s understandable that someone got them confused with Tobermory! Once the official group photos were finished, children from two local Eco-Schools went litter-picking in the woods near the windmill, accompanied by Orinoco, Wellington and Great Uncle Bulgaria. The keen volunteers from Dundonald Primary School and Trafalgar Junior School are ‘eco-warriors’ elected by each year group. At first, most of these kids seemed more interested in the litter than in the Wombles, though they happily scavenged together for half an hour or so. By the time the Wombles had to wave goodbye, kids were waving back and running up to them for a hug. 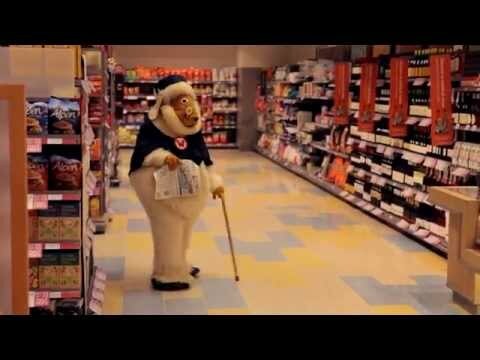 Saw Mike Batt in my local supermarket today. And he had some wombles with him. @KeepBritainTidy are launching their "Big Tidy Up" on the Commons at 11am on 26 Sept led by the Wombles-Come and join us for a litter pick! We'll be with The Wombles later live on Wimbledon Common. Plenty of #WombleSelfie pics to come. Thanks to @waitrose for their support. Quite chuffed to be working with cooperative @waitrose today as we launch the jubilee #BigTidyUp for @KeepBritainTidy Wombles involved too! Big thanks to the two schools helping us today. Dundonald Primary School and Trafalgar Juniors. 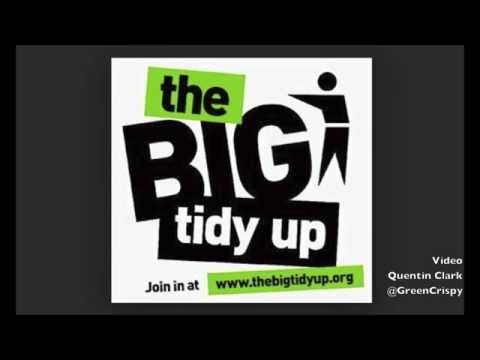 Big thanks to @GreenCrispy @waitrose @KirstieMAllsopp @Womble_HQ and @Mike_Batt for their help with #BigTidyUp launch in Wimbledon today. @WimbledonCommon @KeepBritainTidy @KirstieMAllsopp @Mike_Batt @SHammondMP Oh! All the years I've walked the common & not seen the Wombles! While you are in a Wombling frame of mind…They went to @waitrose Farnham to discuss the launch https://t.co/bMGieUnvQR This happened! Off home after a wonderful day with @KeepBritainTidy @KirstieMAllsopp @waitrose and @Womble_HQ #BigTidyUp Thank you all! Great feature by @MartinStewITV on @itvlondon on Wimbledon ft. 'The Wombles' theme-tune composer @Mike_Batt & the news they're coming back! @KirstieMAllsopp @KeepBritainTidy as a child I had 7 pairs of womble pants with days of week on them! Bring back womble pants campaign? @GreenCrispy @waitrose lovely to meet you today, had great time doing #BigTidyUp, especially chasing the wombles around! @hlbingham @KeepBritainTidy @waitrose I'll be there taking pics & video for @ExeterCouncil. I am *so* excited about meeting Orinoco! Don't forget the Womble clean up, 10am outside Waitrose in Meanwood – free food & refreshments!